Kirstin McCoy's Artwork 'London Train Station' will be featured in a French literature scholar book, by Hachette Education, in Paris France. There will be 39,000 books printed, plus in an online digital version running for the next five years. 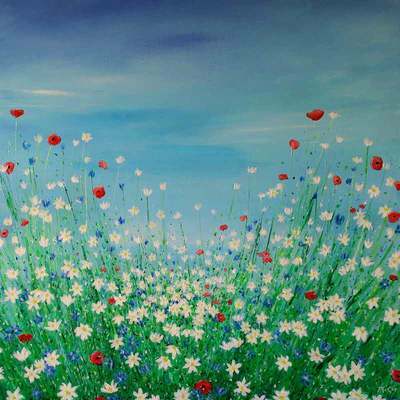 "Kirstin McCoy is an Irish-born, France-based painter whose picturesque country surroundings never fail to inspire her. 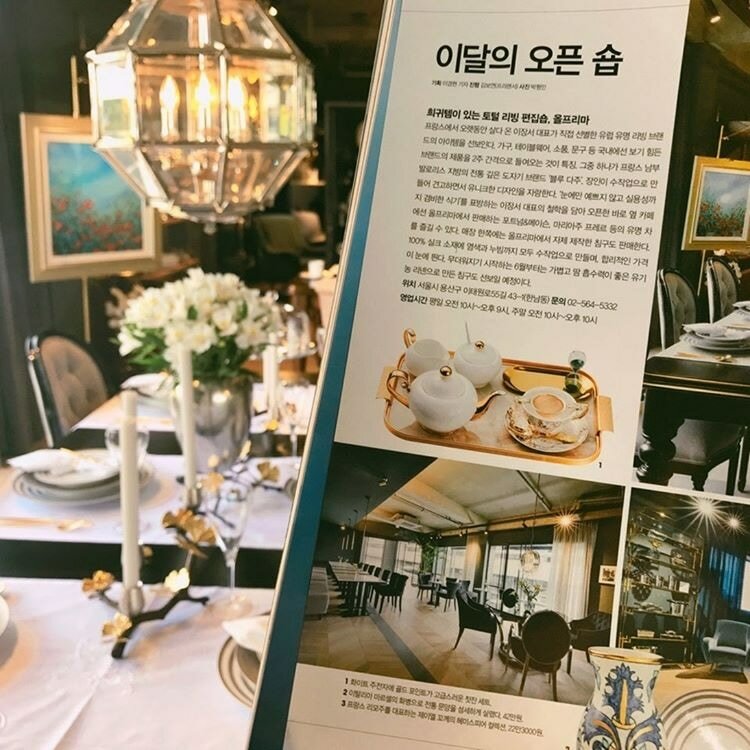 From fresh pastries to silent workspaces to serene outdoor settings, a work of art is never far away. Discover how she fell into art, works with it daily and looks forward to a future influenced by it." 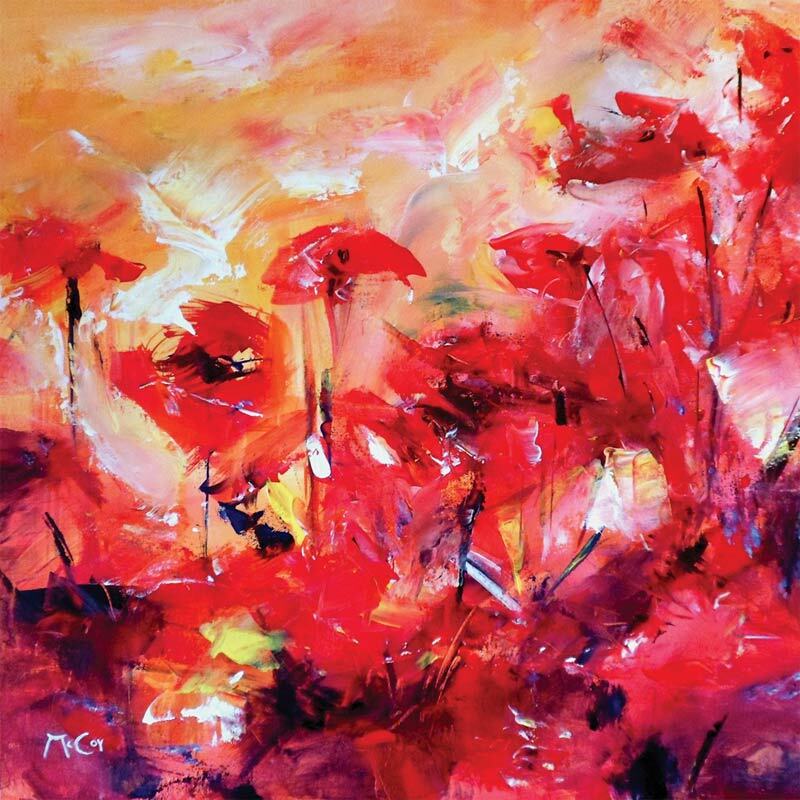 Kirstin McCoy’s painting “Autumnal" is featured in a curated collection of 'New Impressionist Paintings'. This Collection is curated by Victoria Kennedy, Associate Curator, at Saatchi. 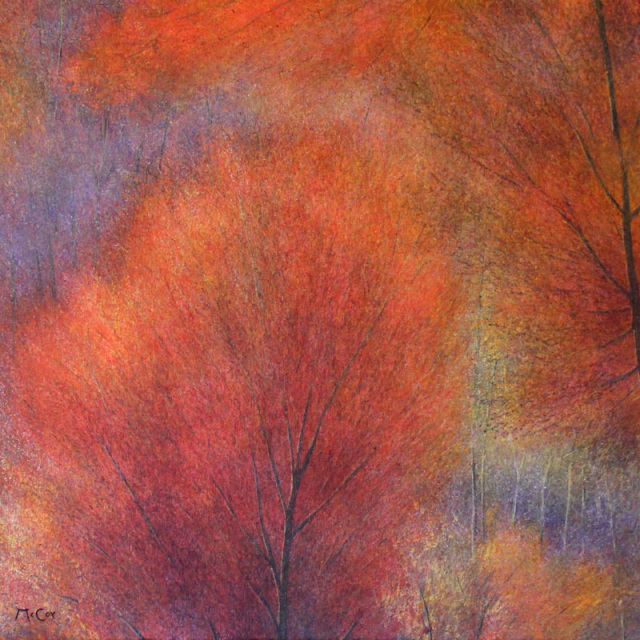 ​"Autumn Colours" by Kirstin McCoy is featured in the 'The Autumn Collection' curated by Singulart Gallery, Paris, France. 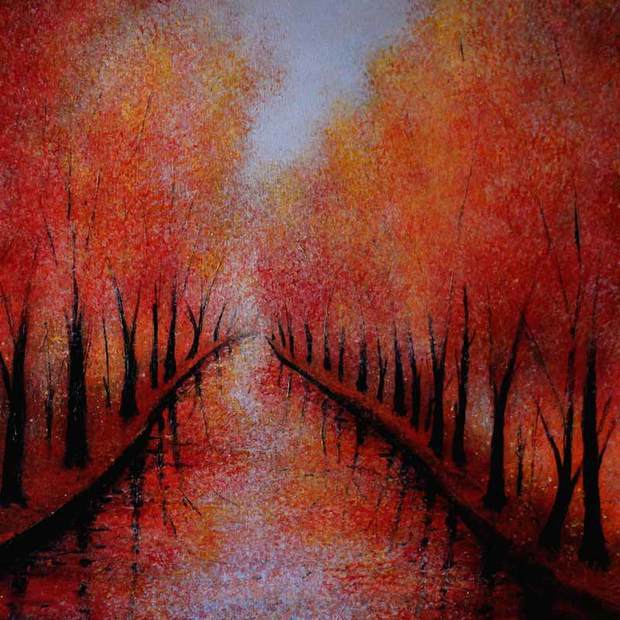 "Singulart brings you an artistic tribute to Autumn, careful in curation but limitless in scope. 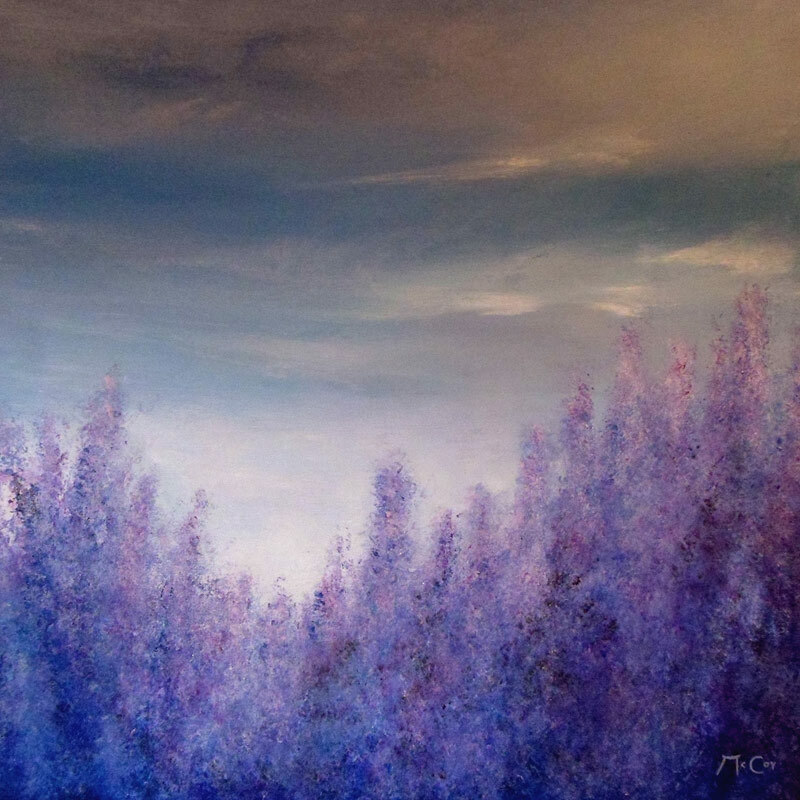 ​This collection is home to pieces that allow you to travel in time; others that contain scenes you'll recognise with such immediacy, you'd think someone painted the same shedding trees you passed on yesterday's morning walk. 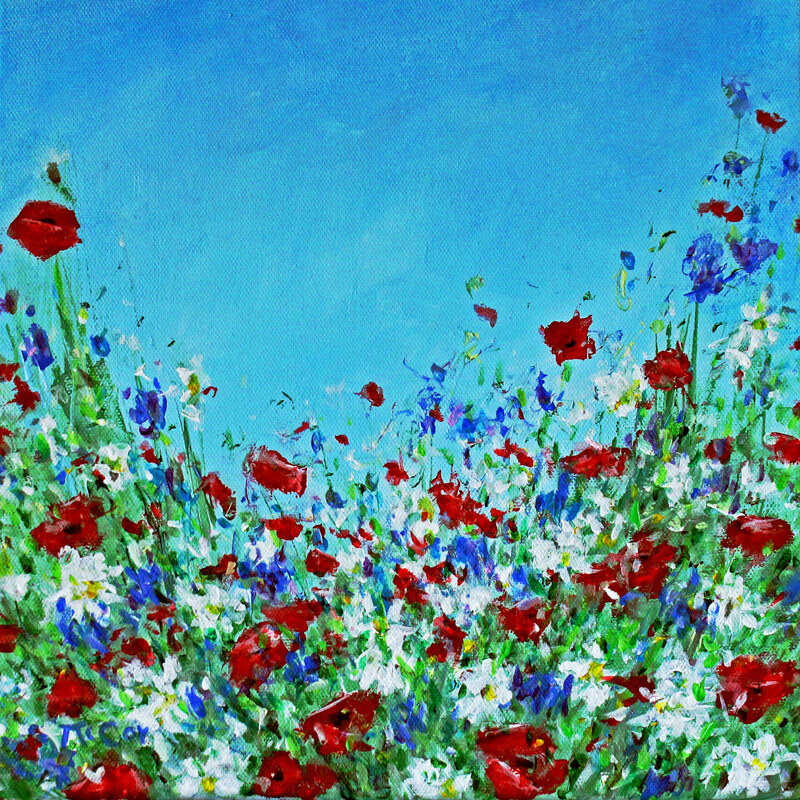 You'll be able to hear the crunch of leaves, feel the bite in the air..."
"Wild Meadow Flowers" by Kirstin McCoy is featured in the 'Gifts For Him' curated by Singulart Gallery, Paris, France. "In need of gift ideas for him? 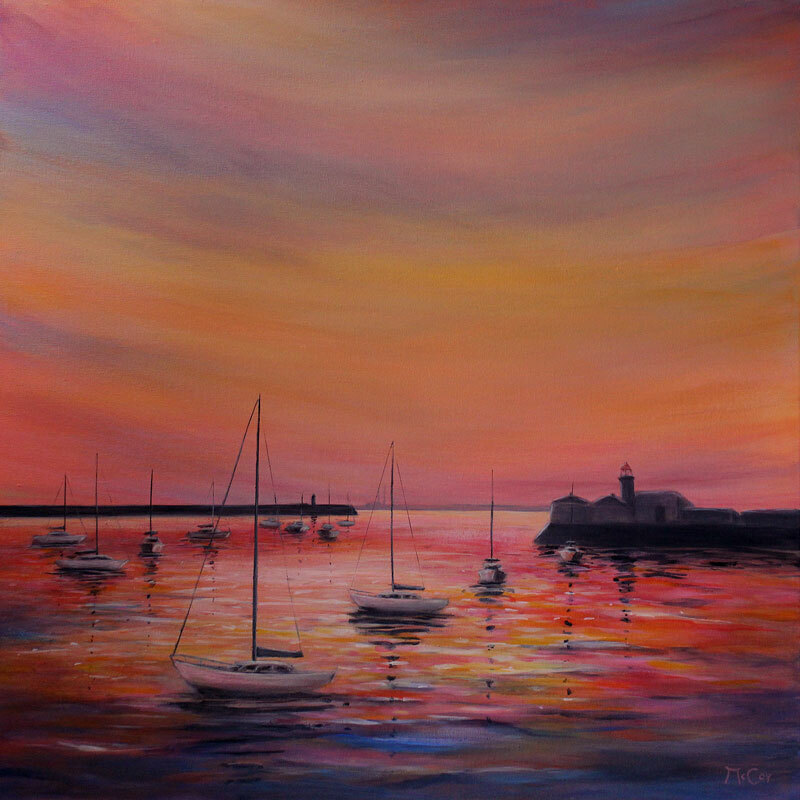 Allow yourself to be inspired by our selection of artworks and surprise him with a present he's bound to love! 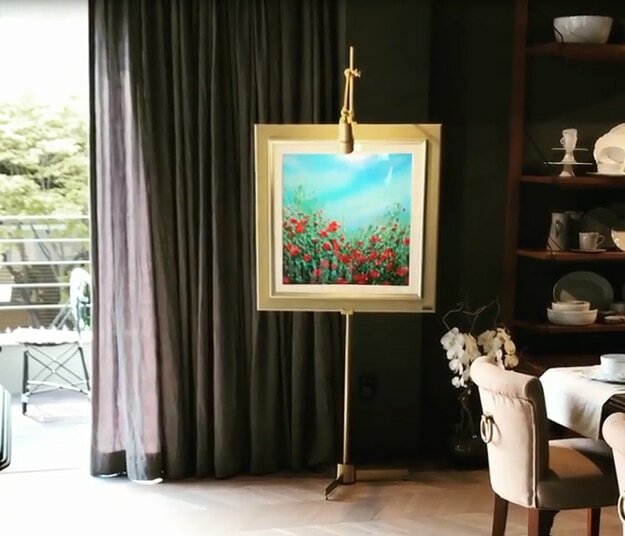 From realism to abstract painting, picturesque landscapes to pop culture gems, any piece featured on our curated list will make a fine addition to his art collection... you'll be securing a unique, unforgettable gift full of charm and personality. Don't think twice - get shopping and watch his eyes light up!..." 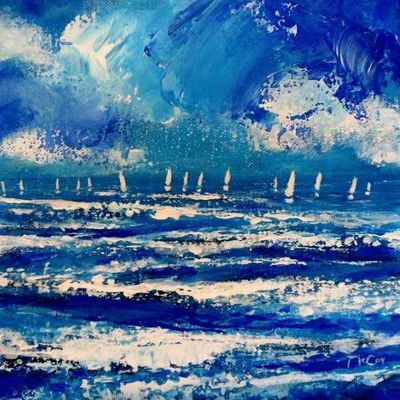 "Distant Sails" by Kirstin McCoy is featured in the 'Relaxing Works' collection curated by Singulart Gallery, Paris, France. 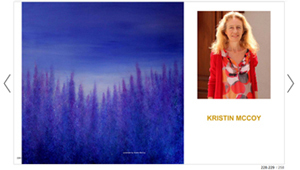 ​'Beach' and 'Pine Tree Island' by Kirstin McCoy are featured in Singulart Magazine. 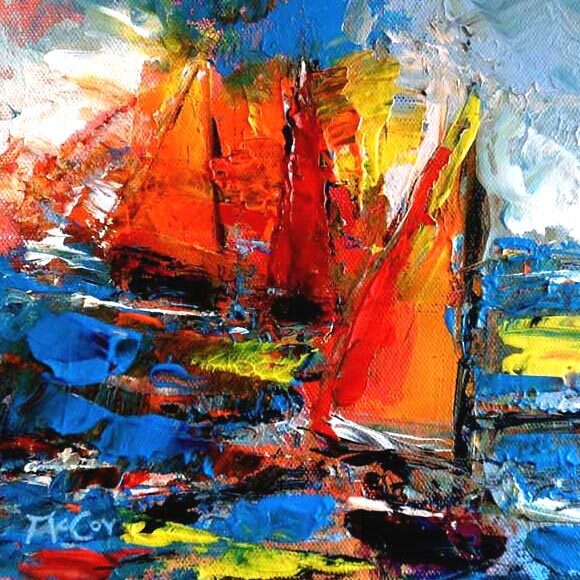 "Oil painting is arguably one of the best known and most used painting mediums. 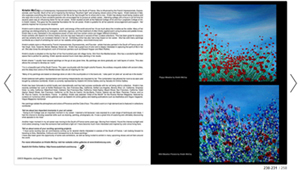 Oil paint consists of suspending various pigments in a drying oil that acts as the binder. A variety of oils can be used as the binding agent, such as linseed oil or safflower oil. Each oil lends a different property to the quality of the paint and can affect the drying time or the yellow hue that it gains over time​. 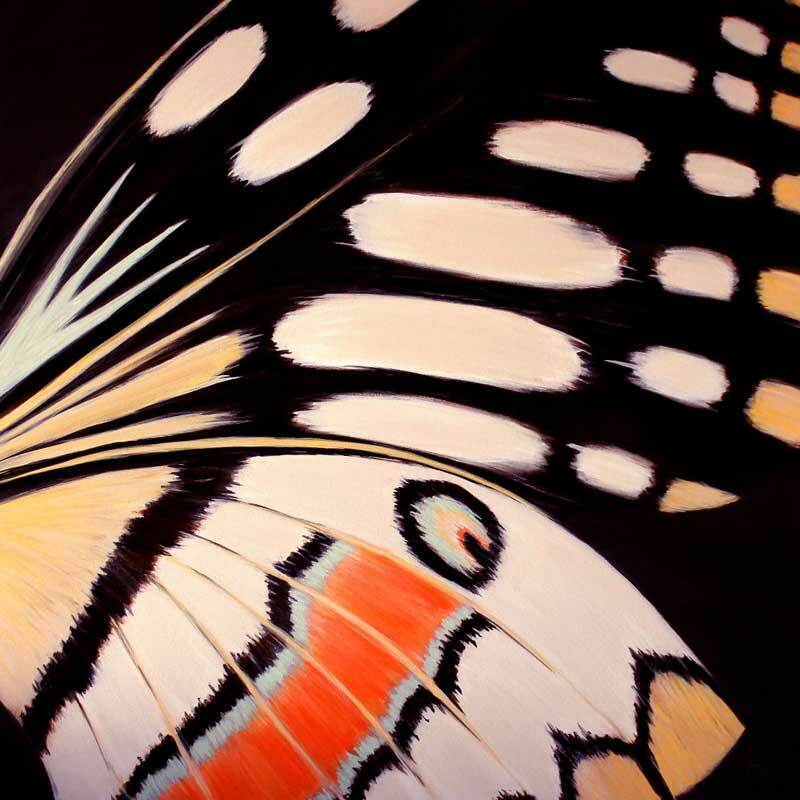 ​"Inspired by Warhol - New Pop Art"
Kirstin McCoy’s painting “Butterfly" is featured again in a curated collection 'Inspired by Warhol - New Pop Art'. This Collection is curated by Evangelyn Delacare, Associate Curator, at Saatchi. ​'Lotus' by Kirstin McCoy is featured in Singulart Magazine. "Contemporary art resists easy definition, due to the incredible variety of art it encompasses. It is broadly defined as the art of today, created during the late 20th and early 21st century. ​​It is characterised by its global nature, the diversity of cultures it explores, and the influence of technology and the digital age. 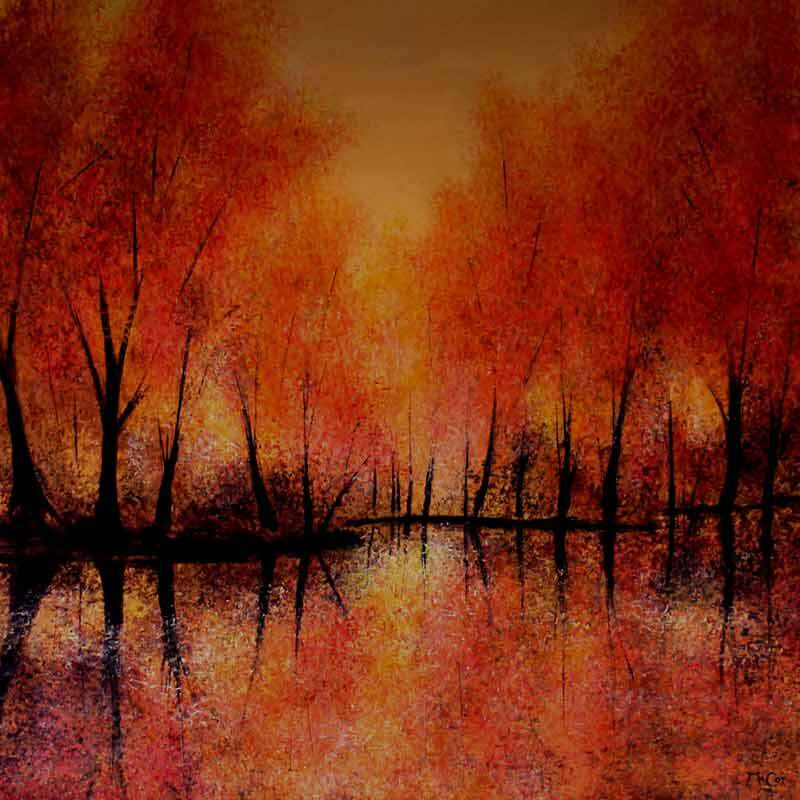 ​'Autumn Colours' by Kirstin McCoy is featured in Singulart Magazine. "Landscape painting is a highly popular genre in Western art, with a long and established tradition. Landscapes typically portray a variety of natural scenes, including mountains, rivers, valleys, forests, fields, and coasts. This definition was expanded in the 20th century to include urban and industrial landscapes. 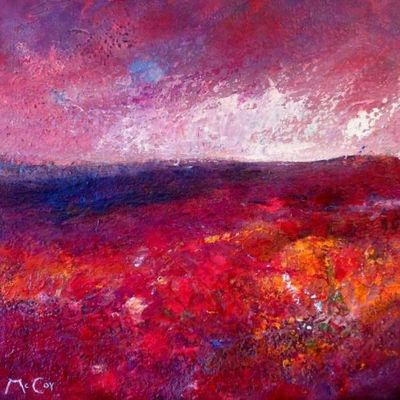 Landscape painters are inspired by the world around them, and while landscape paintings are principally figurative, they have become increasingly abstracted with the rise of abstraction. 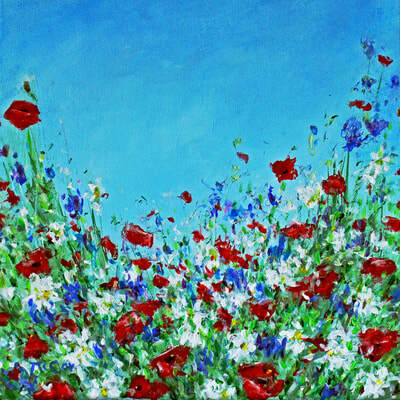 ​The paintings "Beach" and "Poppy Meadow" by Kirstin McCoy are featured in the 'Summertime' collection curated by Singulart Gallery, Paris, France. 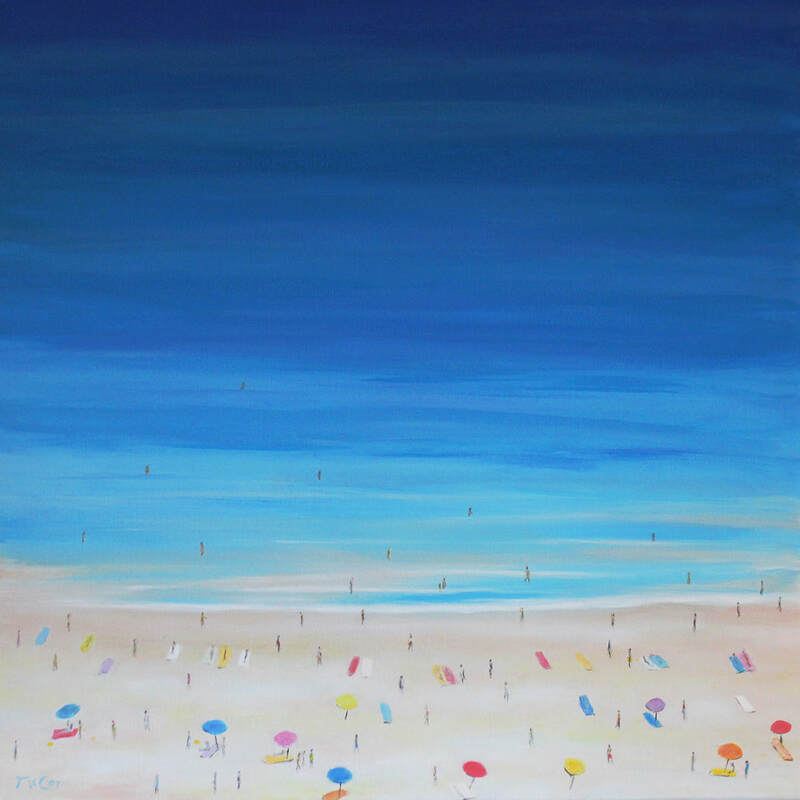 Regardless of where they're from, our artists express their love for the summer season and give you a taste of summer with their sunlit landscapes and bold works of art." 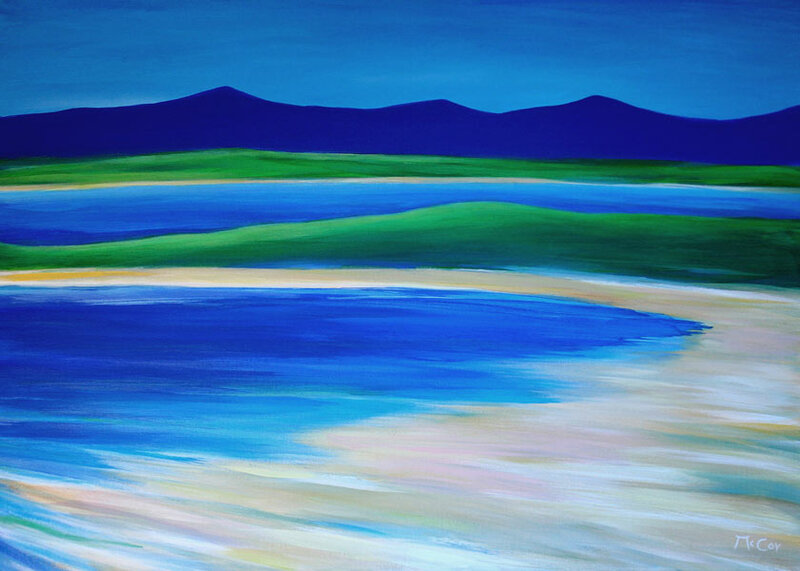 ​The paintings "Pine Tree Island" and "Beach, Wild Atlantic Way" by Kirstin McCoy are featured in 'The Marine Collection' selected by Bobby Schenk. 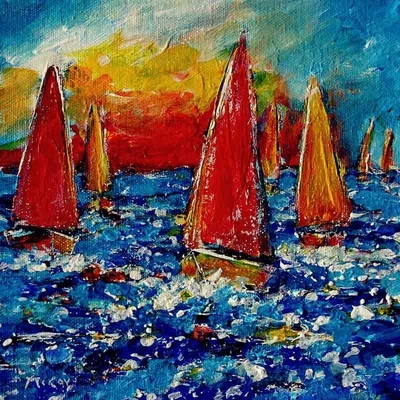 Sailors and artists share the same passion for exploration and discovering new horizons. 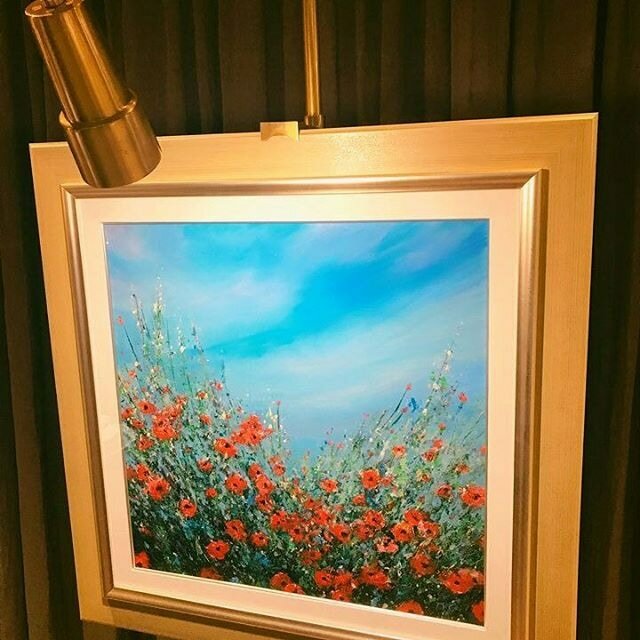 A work of art can provoke a powerful emotional reaction, help us to recall memories, capture an atmosphere or provide a projection of our dreams. 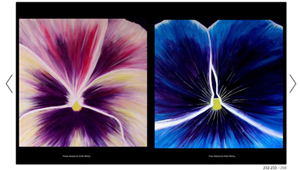 As a navigator, Bobby Schenk shows us that art has the power to reveal very different passions depending on the lived experience of each individual.​"
Four Paintings by Kirstin McCoy are featured in 'The Gardens Collection' curated by Singulart Gallery, Paris, France. 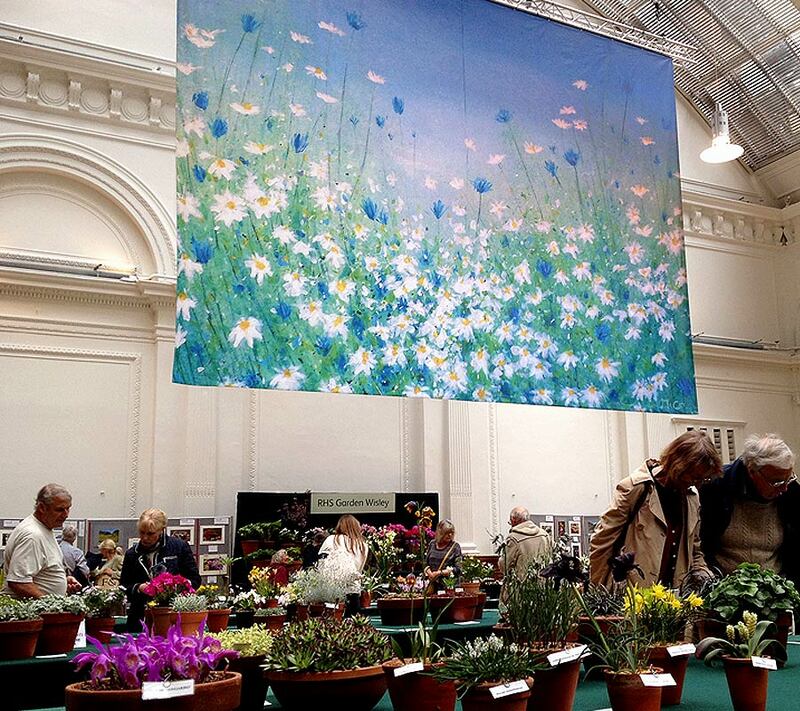 "The great masters of painting - Picasso, Cézanne, Klimt, Matisse, and not forgetting Monet and his paintings of Giverny - have all been inspired by gardens and celebrated it on canvas as a sacred space, a world of poetry and freedom. 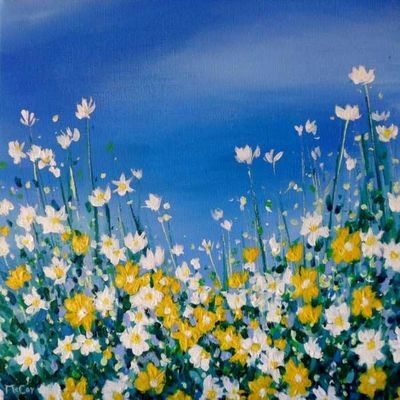 As a manifestation of the wonders of nature, gardens bring a sense of peace, calm and tranquility in both classical art and contemporary painting." 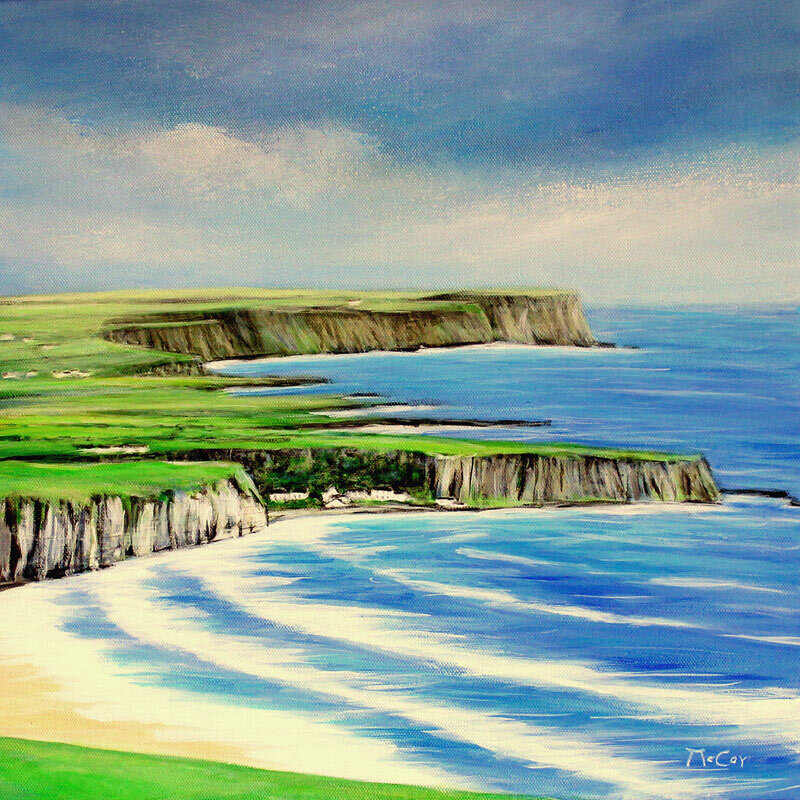 Beautiful painting the stunning Antrim coast, at White Park Bay, with it's spectacular cliffs, and white sandy beach. It is situated in Northern Ireland on the Giant’s Causeway Coastal Route. 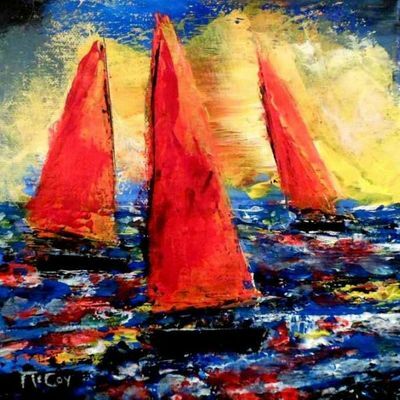 This is an original, one of a kind, oil painting on canvas. 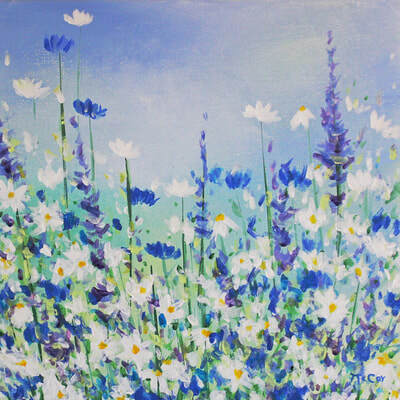 It is ready to hang without frame as the edges of the canvas are painted white. ​'Lotus' by Kirstin McCoy is featured in 'The Blue Collection' curated by Singulart Gallery, Paris, France. 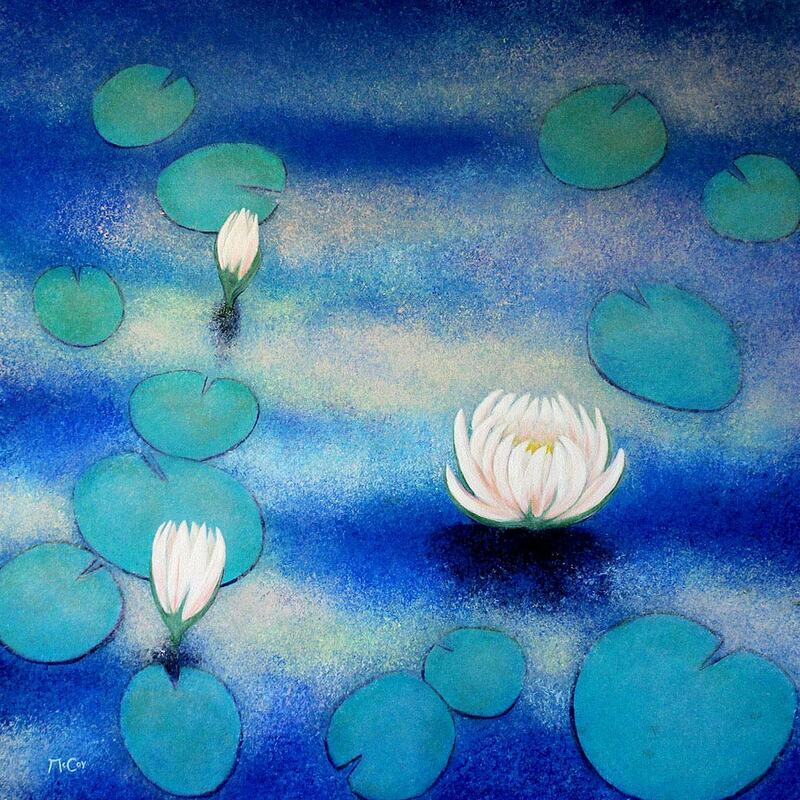 This is an oil painting on canvas of beautiful Lotus flowers. 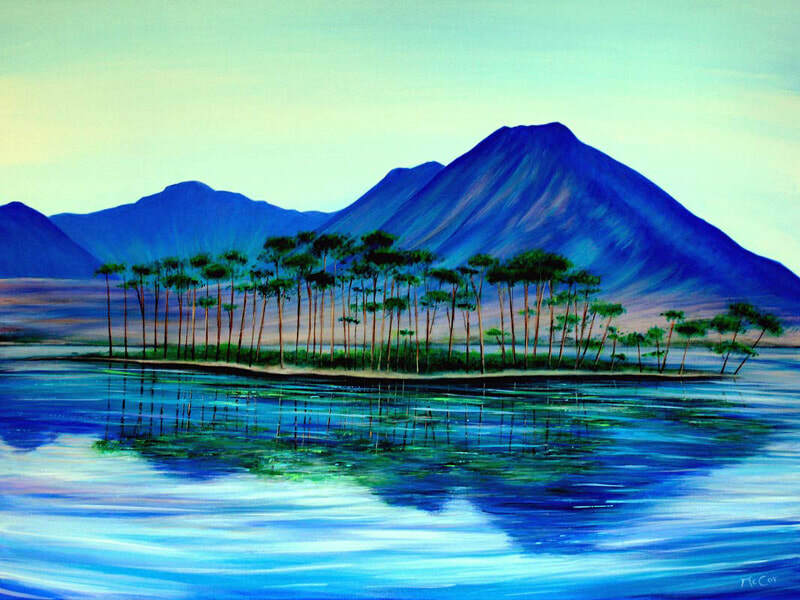 The colours of the blue sky and clouds are reflected in the water creating a wonderful peaceful ambience. Layers of paint have been added creating a very subtle and unique rich finish. 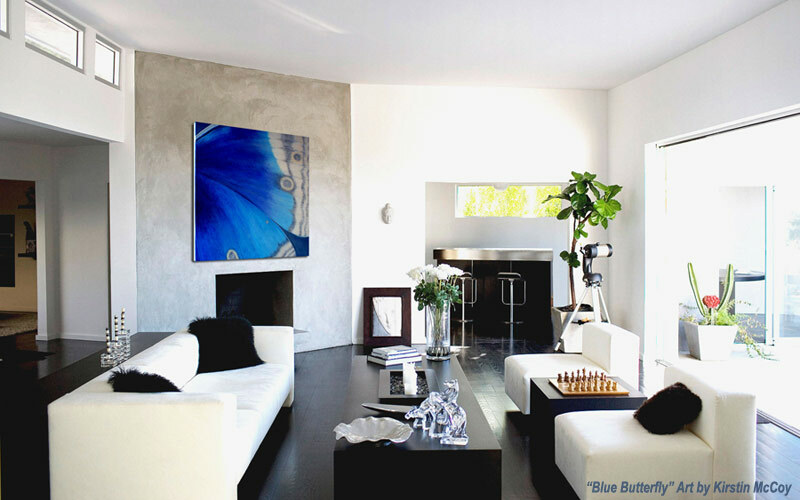 ​"Blue is a colour that is ever present in nature; it is the colour of the sky and the sea, of ice and water. 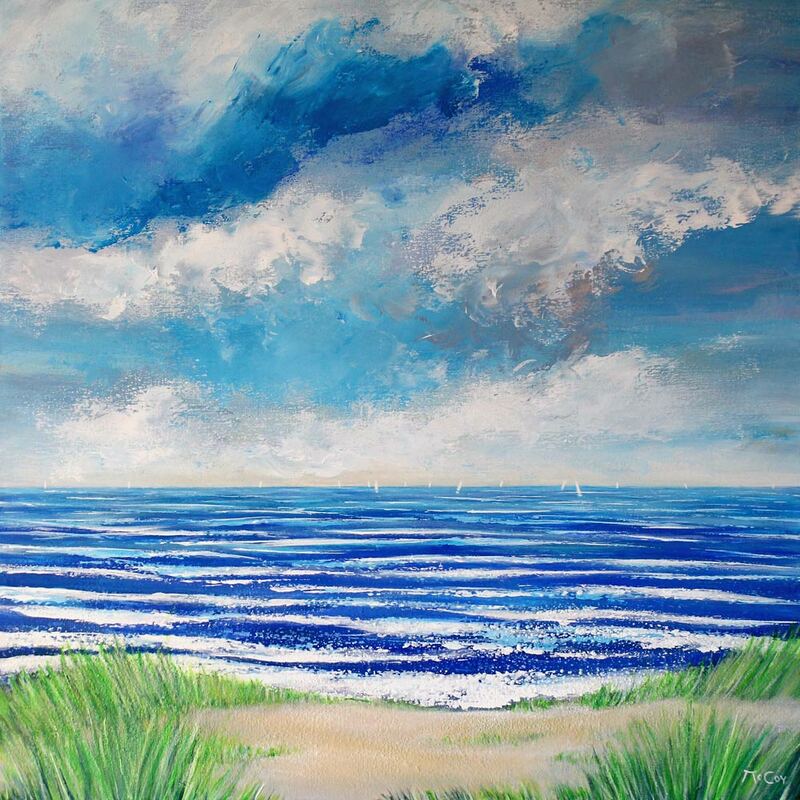 Clear skies and calm waters bring to mind peace and serenity, and it is said blue is a calming colour." This Collection is curated by Jessica McQueen, Associate Curator, at Saatchi. 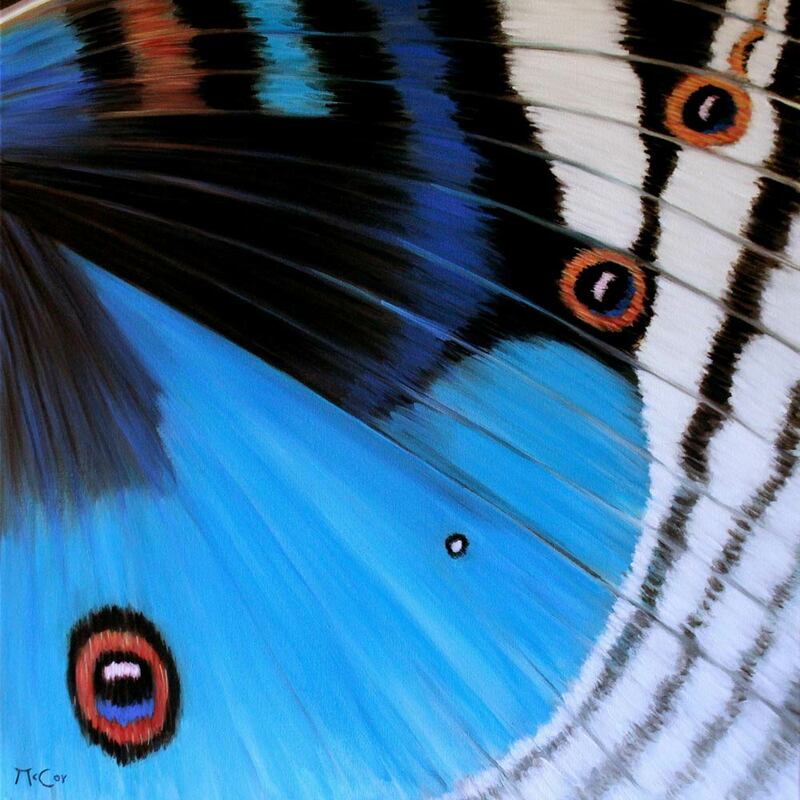 Kirstin McCoy’s painting “Butterfly" is featured in a collection of new Art for 2018. This Collection is curated by Rebecca Wilson, the Chief Curator, VP and Art Advisory at Saatchi. 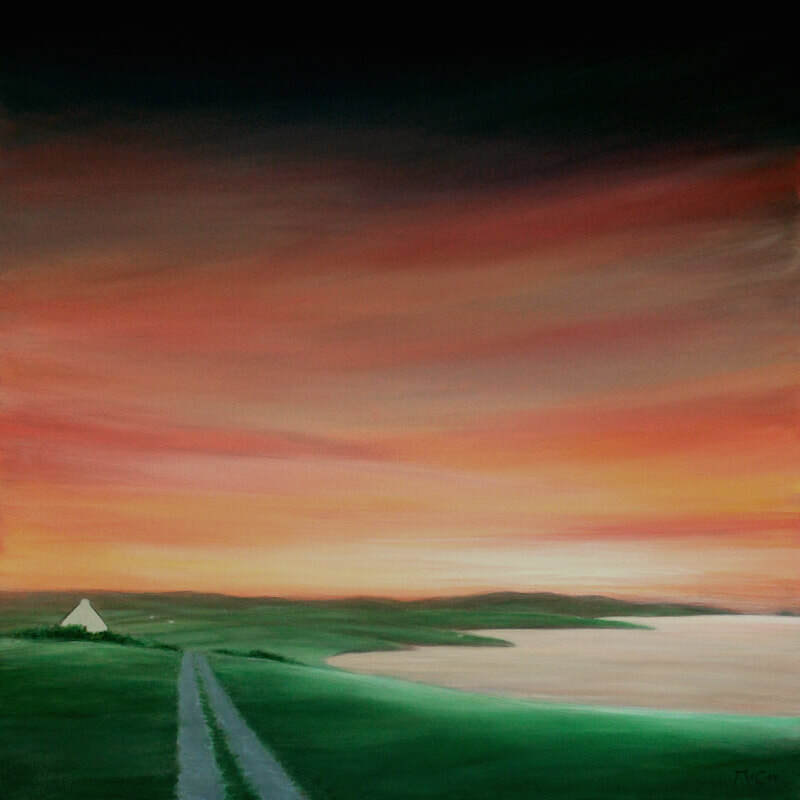 Kirstin McCoy’s painting "Sunset Wild Atlantic Way, Ireland" is featured in curated collection. 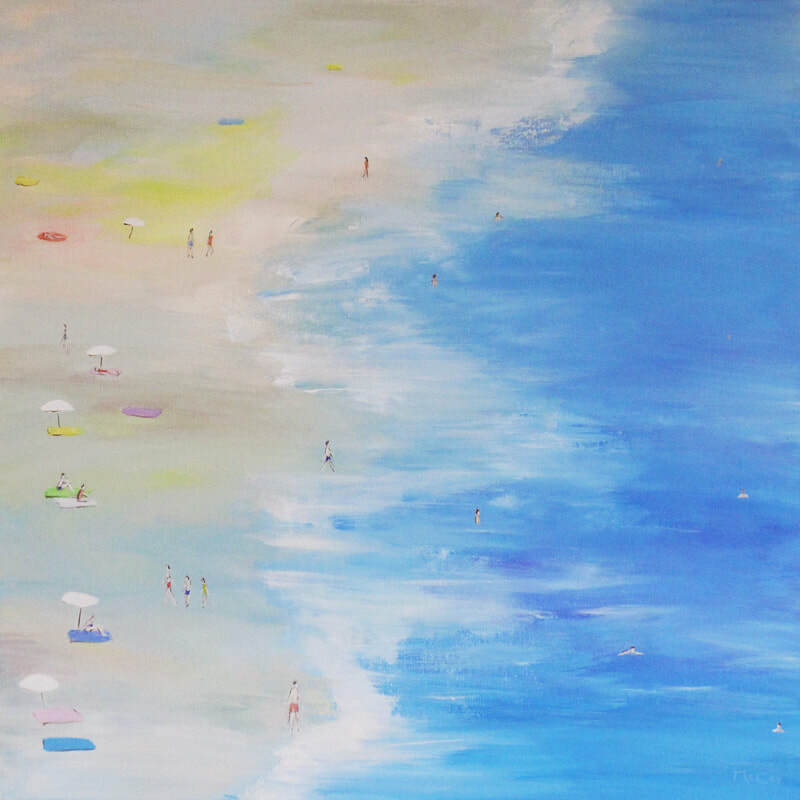 Kirstin McCoy is now represented by Singulart Gallery, Paris, France.
" 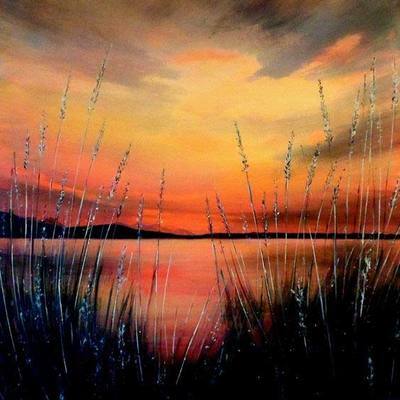 Kirstin McCoy is an Irish painter who lives and works in the South of France. 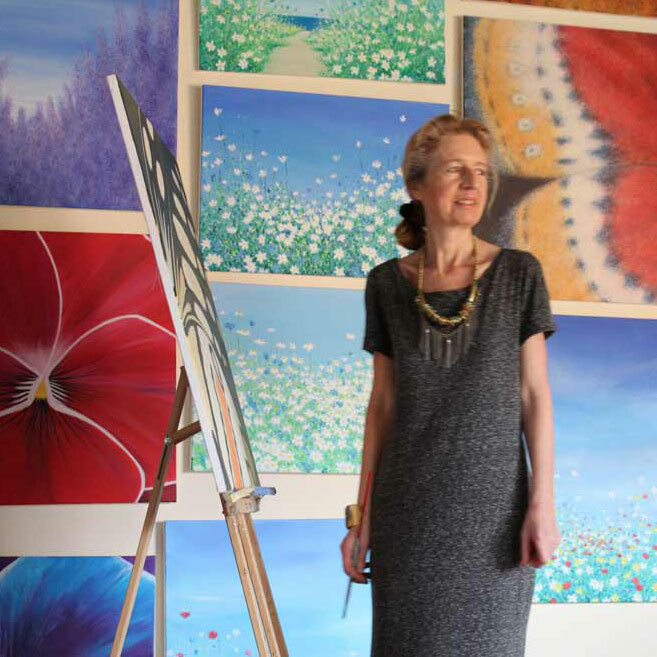 Influenced by the Impressionists, Expressionists and Fauvists, her canvases capture the wonders of nature, flora and fauna, under the brilliant “southern light” as well as seascapes from the blue waters of the Mediterranean sea..."
"London Train Station" selected as the best London View themed art. 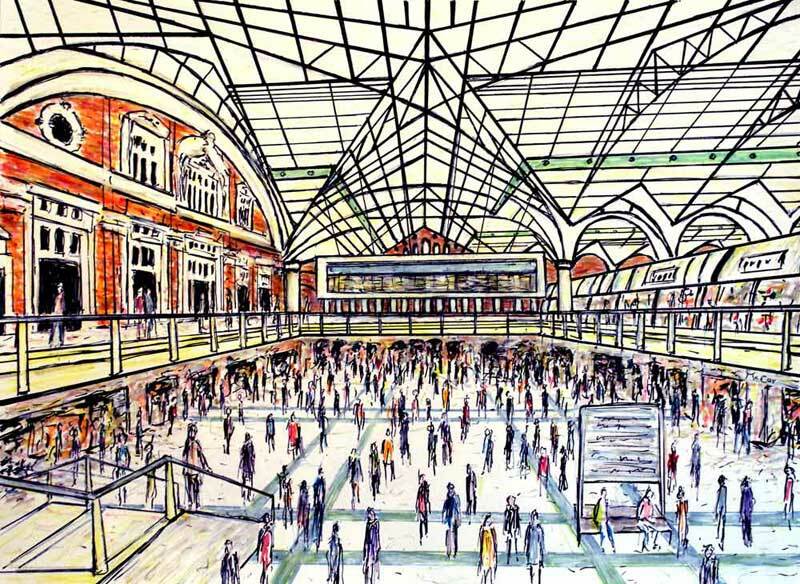 This is a large original artwork capturing the busy Liverpool Street Train Station in London City. ​This is an original, one of a kind, oil painting on canvas. 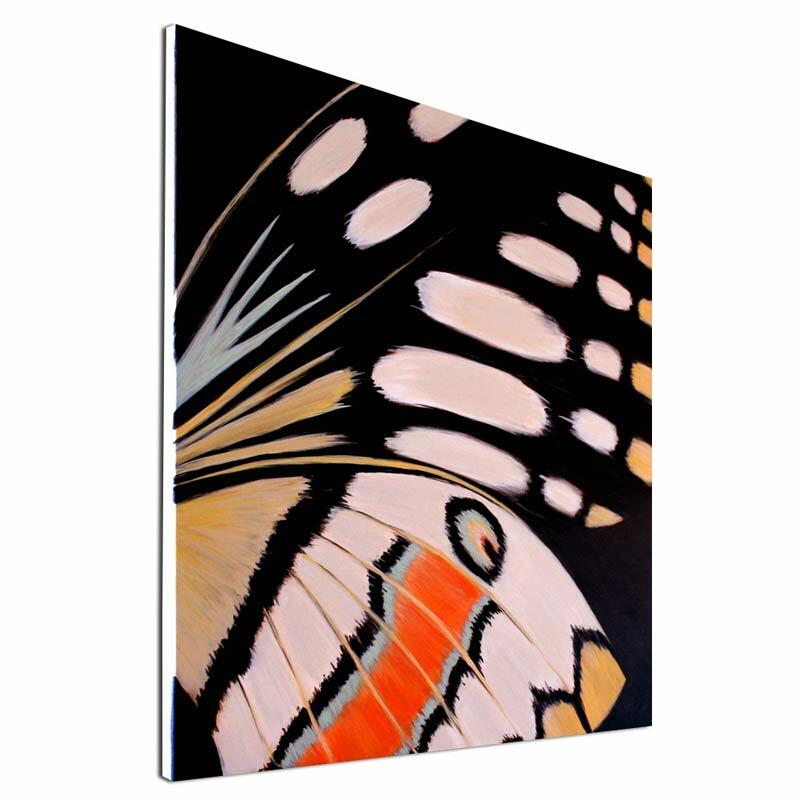 It is ready to hang without frame as the edges of the canvas are painted white. The vibrant colours of the sky are reflected in the sea in this Painting of a sunset at Dun Laoghaire Harbour in Dublin. 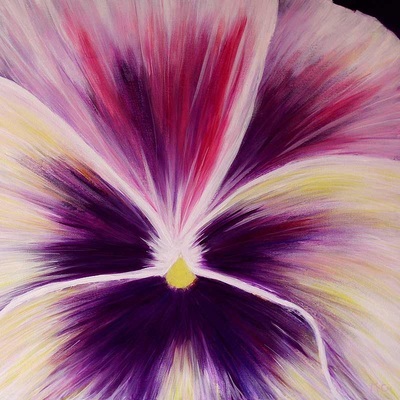 A vibrant abstract Painting on canvas of the beautiful colours of flower close up. 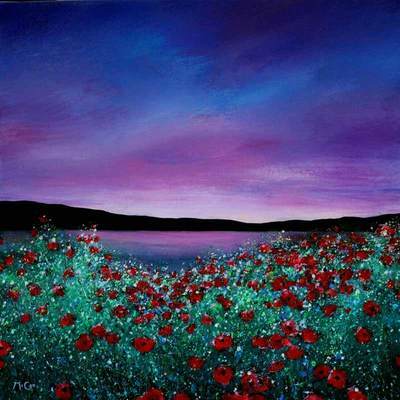 Kirstin McCoy’s painting "Sunset Colours" is featured in the curated collection ‘Spotlight on France.’ A selection of Art by top Artists in France. This Collection is curated by Jessica McQueen, the Assistant Curator, at Saatchi. Кирстин Маккой (Kirstin McCoy) - французская художница, живёт и работает на юге Франции, неподалеку от Средиземного моря. Ее искусство характеризуется яркими и сочными цветами. Картины Маккой есть во многих коллекциях по всему миру. Многое из творчества K Маккой вдохновлено яркими цветами юга Франции. Большая часть ее картины характеризуется энергичным, крайне мощным, часто совершенно спонтанным способом нанесения краски, которую художница густо накладывает на холст, используя кисти и мастихин. Для работы Кирстин использует масло и акриловые краски. Пишет как "на пленэре", так и в своей студии. Её творчество сформировалось под влиянием французских импрессионистов, фовистов и экспрессионистов - художников, которые также писали в Южной Франции, таких как Ван Гог, Дюфи, Сезанн, Матисс, Дерен и т. д. Как и художники, которые вдохновляют ее, Кирстен Маккой тоже, в качестве основы своих картин, использует выразительную силу цвета. This Collection was curated by Ani Mnatsakanyan at Saatchi. This Collection was curated by Katherine Henning, Associate Curator, at Saatchi. 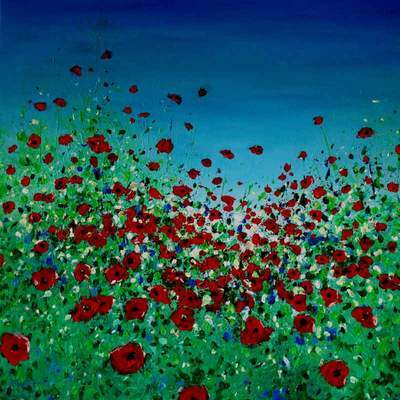 'Kirstin McCoy is a Contemporary Impressionist Artist living in the South of France. 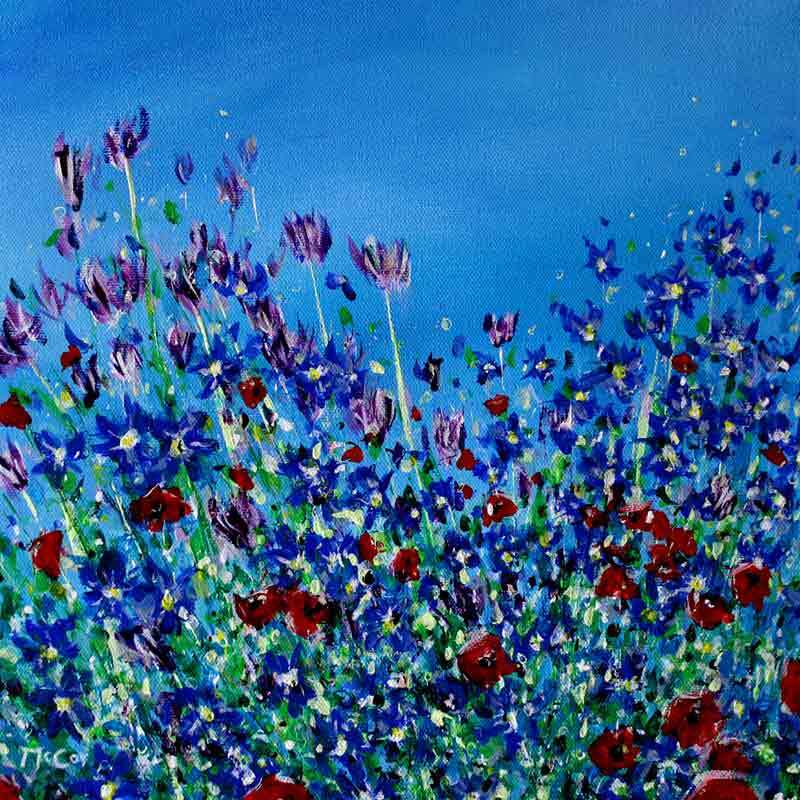 She is influenced by the French Impressionists, Expressionists and Fauvists. 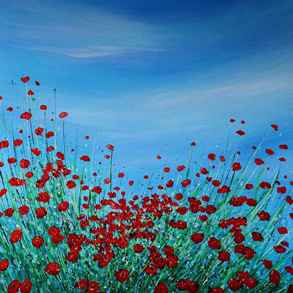 Her paintings radiate the atmosphere and colours of Provence and the Cote d'Azur.